At Skyborne we understand knowledge is power - and seeing things from above gives more information about a construction site or a development than being on the ground. 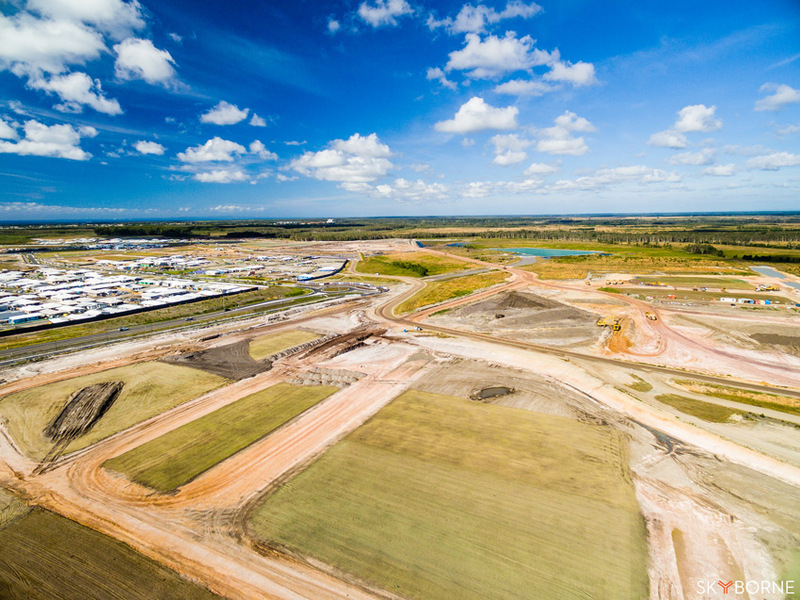 From anywhere between ground level to 120m in the air, we can provide not only an overview of the entire site but also track progress and measure whether milestones are being hit. When there are multitudes of staff and stakeholders associated with a project, every aerial photo is worth more than a thousand words. Our fleet of drones are unobtrusive and are capable of 4K video footage and 12MP images that can pinpoint even minute details. We are licensed by CASA and are fully insured for your peace of mind. A series of photos or video of the entire site can be shot to document the current construction stage for tracking purposes. We recommend monthly updates for this purpose - this frequency capture details adequately. Depending on the speed of development, more frequent updates or less frequent updates may be suitable. Location is a priority when it comes to properties. Nearby beaches, shopping precincts, and golf courses are just some of the landmarks that can be highlighted. Up-to-date photos showing the location can also be used internally for planning or for milestone updates. 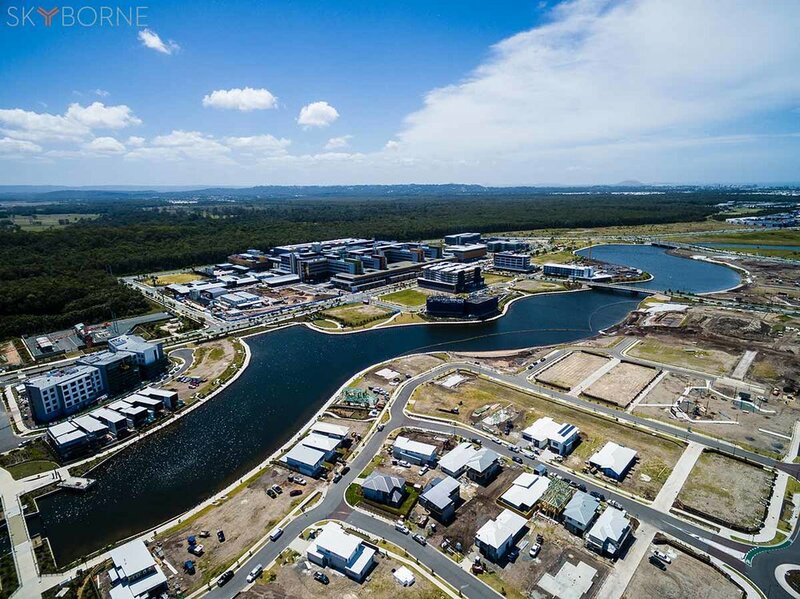 There are a plethora of ways to utilise aerials - whether used as the view for renders or to feature the local community, striking photos are always needed in marketing. 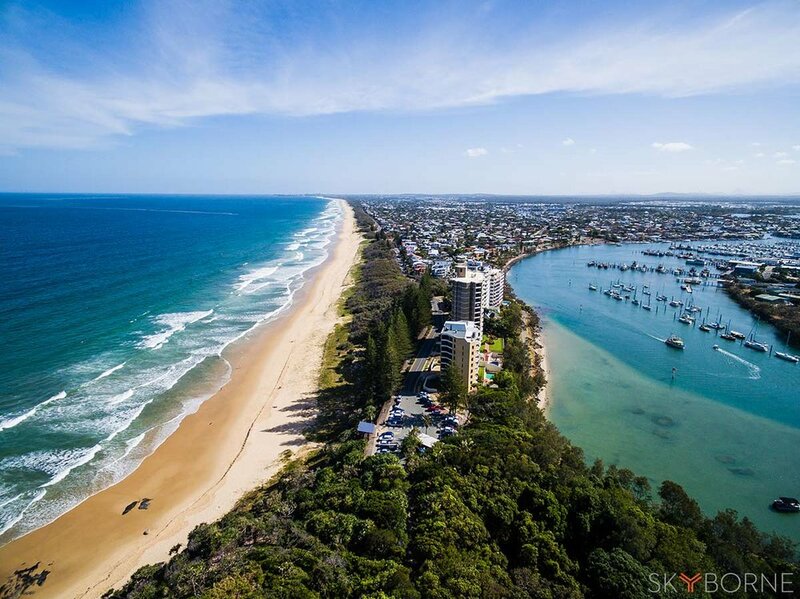 Lifestyle aerial photos can emphasise the beach and surf, trendy restaurants and cafes, views of the city skyline or surrounding natural bushland.